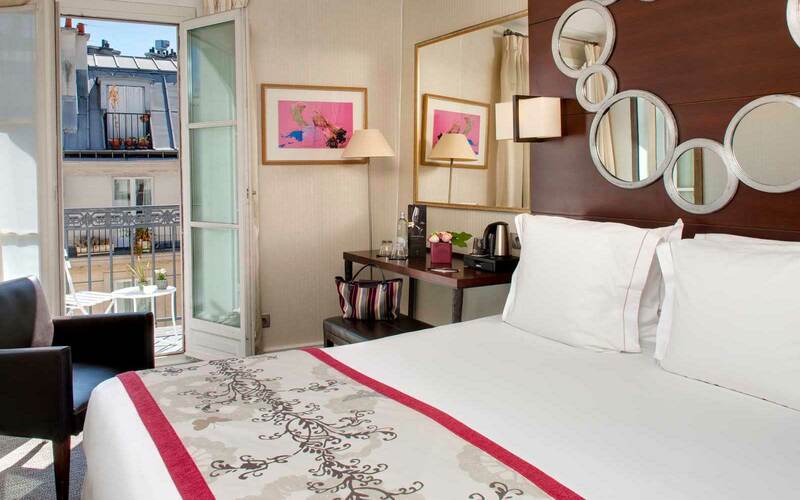 Located on the Rive Gauche (The Left Bank), in Saint-Germain des Prés and close to the Latin Quarter in a building dating back to the 19th century, the Hôtel le Sénat invites you, behind its traditional boutique façade, to discover its 41 rooms and suites with contemporary décor. 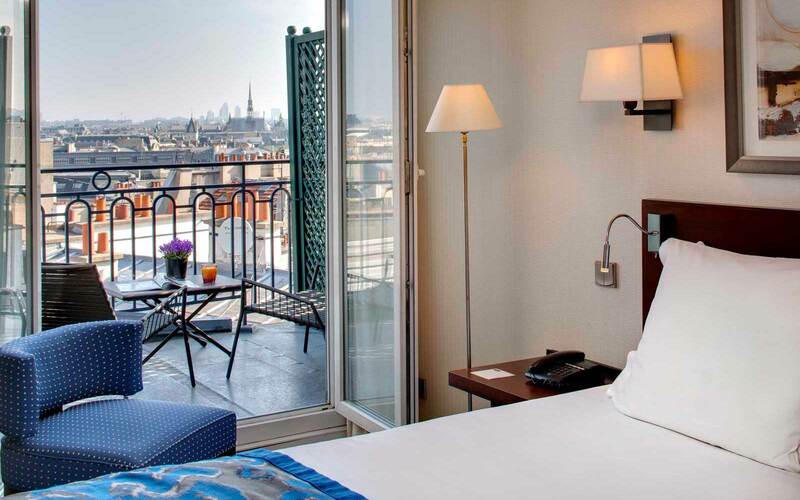 The Hôtel le Sénat has all the charm of authentic Paris combined with high-end services for a holiday or weekend of complete serenity in the capital. 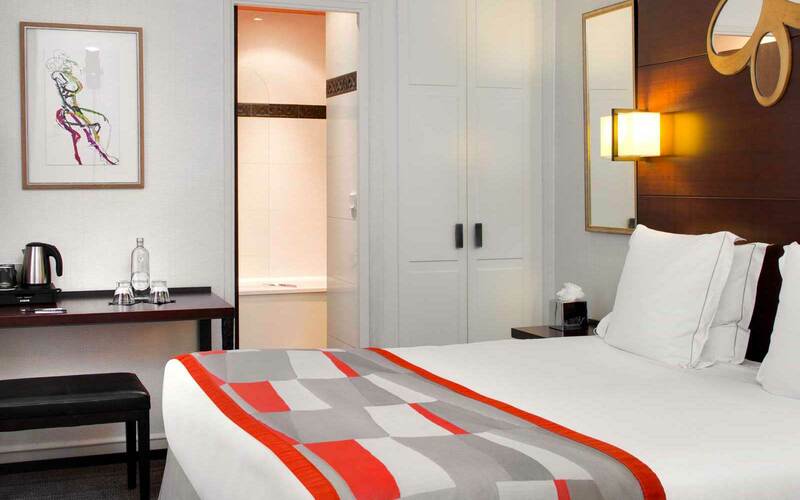 The décor of the superior rooms is classic and cosy. A sweet harmony of light and bright colours will welcome you into a luxurious atmosphere, contrasted by wenge furniture for a contemporary touch. In order to make you happy, special attention is paid to the details. In particular, the materials used are high-quality and recognised. 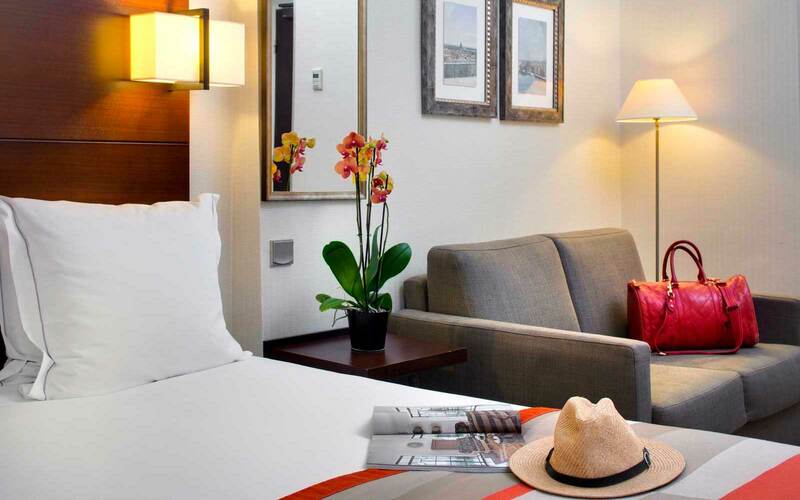 The superior rooms have modern furnishings that ensure your comfort. They are available with double or twin beds (depending on availability). In the bathroom you will find L’Occitane amenities. There is a shower or bath, towel heater and hair dryer. Harmony of light and bright colours, a cosy atmosphere: the Deluxe rooms welcome you into a luxurious and muted atmosphere, within a contemporary setting. 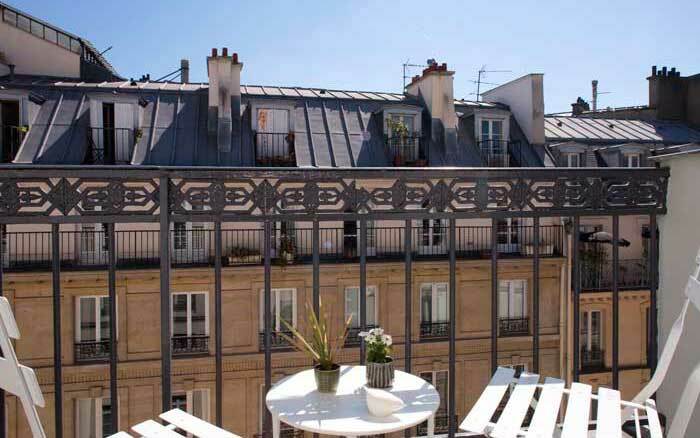 Parisian space and refinement will charm you. High-quality materials and elegant decoration shows our attention to detail. 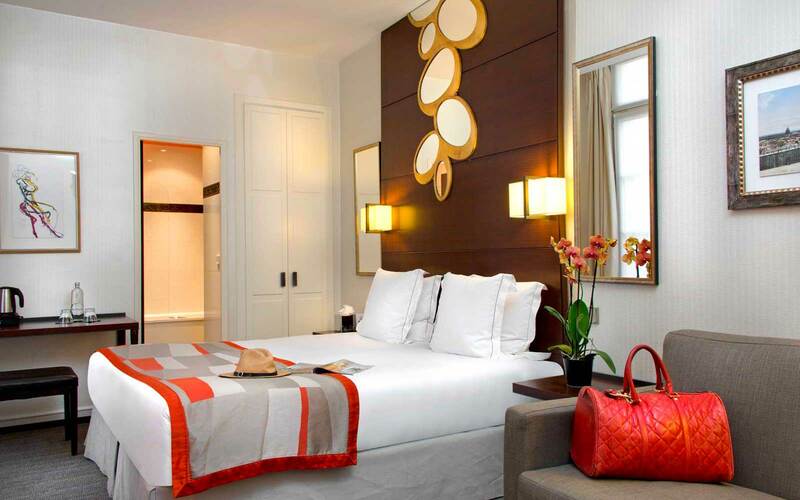 The Deluxe rooms also have a lounge area furnished with a sofa. Available with a double bed or twin beds on request. Certain rooms have a private terrace (depending on availability). In the bathroom you will find L’Occitane amenities. There is a bath, towel heater and hair dryer. The toilets are separate. The Duplex Terrace rooms are spacious and comfortable. Their modern décor, their light and bright shades, their soft and cosy atmosphere will charm you. 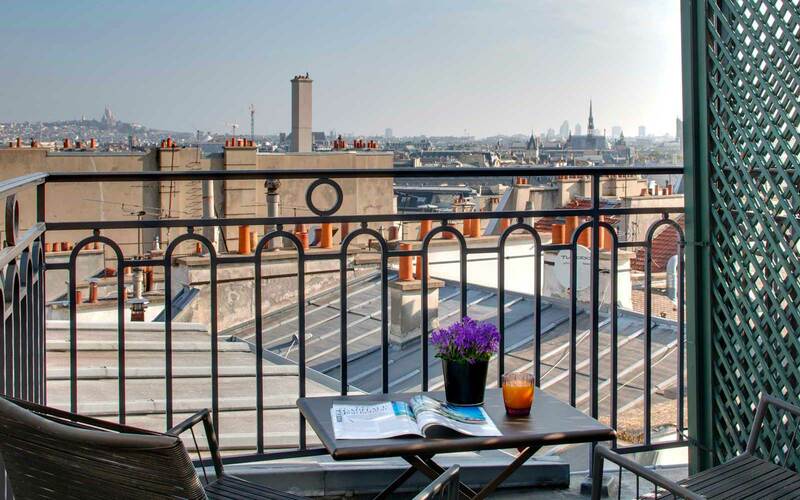 Located on the sixth and seventh floors of the hotel, they have an exceptional private terrace overlooking Paris and its most famous monuments: The Eiffel Tower, the Sacré Coeur and Notre Dame. The view, unique in the area, will take your breath away. The Duplex Terrace rooms combine the sophistication of the suites of the Hôtel le Sénat with the advantage of a unique, private terrace. They have modern furnishings to ensure your well-being. Available with a double bed or twin beds on request. In the bathroom you will find L’Occitane amenities. The Duplex Terrace rooms combine the sophistication of the suites of the Hôtel le Sénat with the advantage of a unique, private terrace. The Eiffel Tower, the Louvre, Montmartre, Notre Dame, Georges Pompidou centre: all of Paris is at your feet, as far as the eye can see. They have modern furnishings to ensure your well-being. Available with a double bed or twin beds on request. In the bathroom you will find L’Occitane amenities. There is a bath, towel heater and hair dryer. The toilets are separate. The Suites offer space and intimate and cosy comfort. In a contemporary setting, their soft and bright atmosphere will welcome you onto the fifth and sixth floors of the hotel. 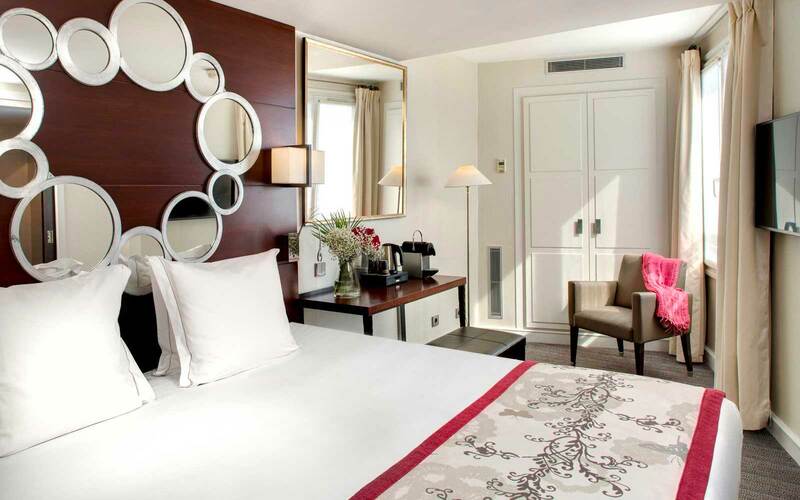 The Suites have a separate lounge furnished with a sofa or a sofa-bed for one person, offering you a luxurious experience worthy of the capital. Available with a double bed or twin beds on request. 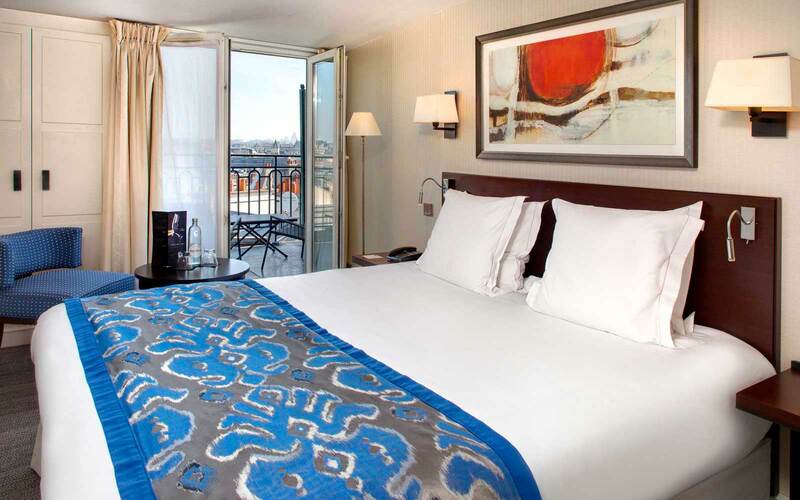 High-quality and elegant materials, opulent and practical space: nothing has been left to chance to make your Parisian stay unforgettable. The Suites have modern furnishings to ensure your well-being. In the bathroom you will find L’Occitane amenities. 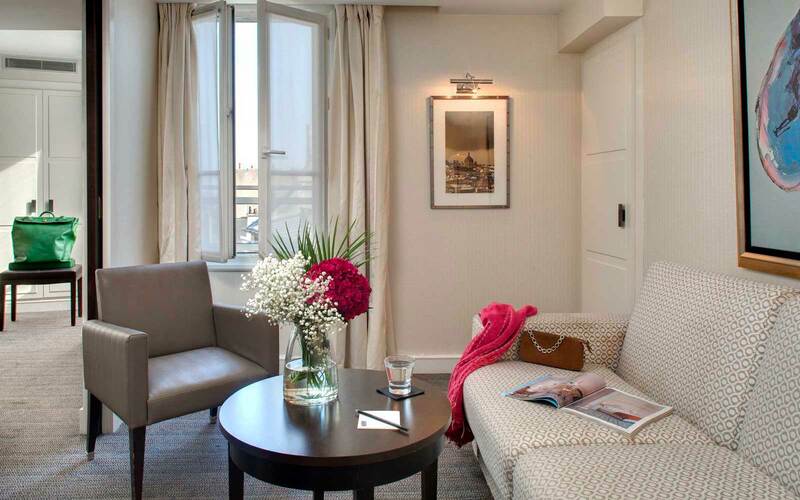 The Suites offer space and intimate and cosy comfort. In a contemporary setting, their soft and bright atmosphere will welcome you onto the fifth and sixth floors of the hotel. 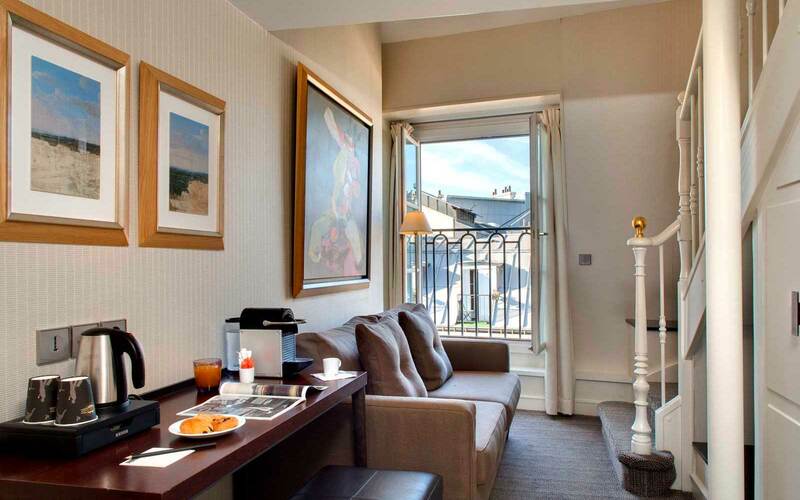 The Suites have a separate lounge furnished with a sofa or a sofa-bed for one person, offering you a luxurious experience worthy of the capital. Available with a double bed or twin beds on request. We have two double duplex suites and two triple suites on the same level. High-quality and elegant materials, opulent and practical space: nothing has been left to chance to make your Parisian stay unforgettable. The Suites have modern furnishings to ensure your well-being. In the bathroom you will find L’Occitane amenities. 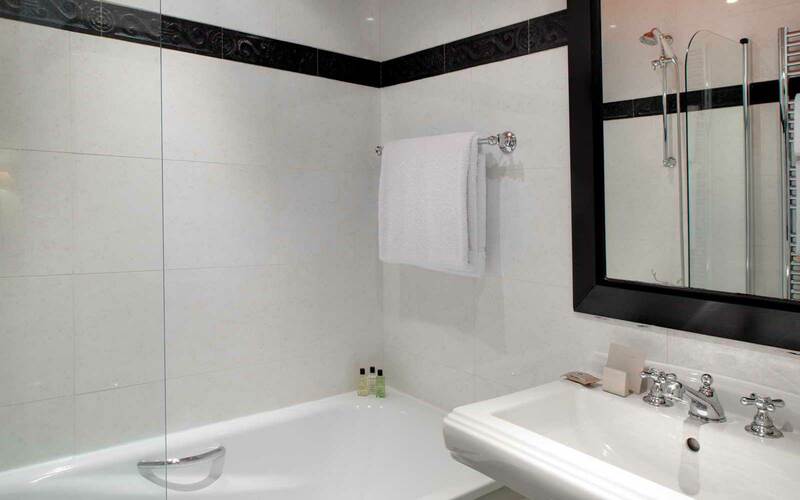 There is a bath (and a shower for the triple suites), towel heater and hair dryer. The toilets are separate. Harmony of light and bright colours, a cosy atmosphere: the Family rooms welcome you into a luxurious and muted atmosphere, within a contemporary setting. Parisian space and refinement will charm you. These spacious rooms can welcome 3 people offering comfort and privacy. They are particularly well adapted for trips as a family or with friends: including two different sleeping areas with a double bed or twin beds and a sofa-bed for one person. High-quality materials and elegant decoration shows our attention to detail. Certain rooms have a private terrace (depending on availability). In the bathroom you will find L’Occitane amenities. High-quality materials and elegant decoration shows our attention to detail. The Family rooms have a lounge area furnished with a sofa-bed for one adult or child. Certain rooms have a private terrace (depending on availability). In the bathroom you will find L’Occitane amenities. There is a bath, towel heater and hair dryer. The toilets are separate.